With our ever growing libraries of gadgets, the one thing that we constantly keep looking for are more and more chargers. Yes, the universal charging abilities of the USB have made things a lot easier for us, but one can never have enough chargers, and the mess of wires is just another one to deal with. 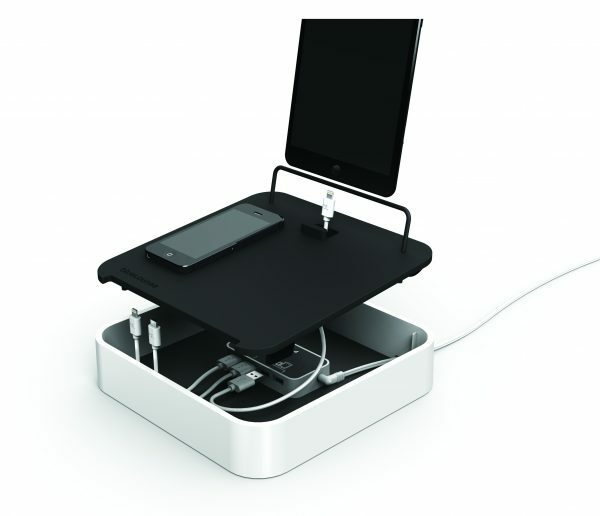 Bluelounge have the answer to all these worries, as they have launched the Sanctuary 4, which fast charges up to 4 devices at once. 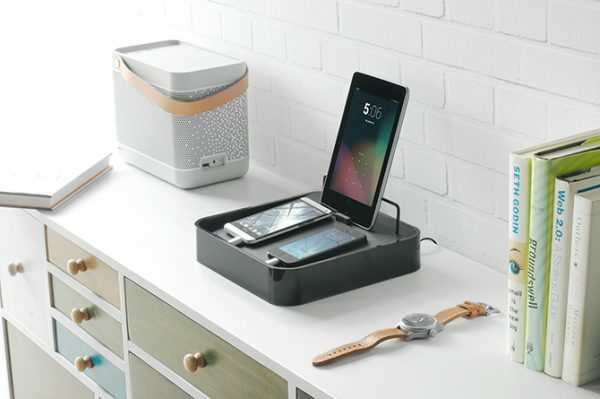 Up to four devices can be laid on it, with discrete USB cables that neatly come out through all the peripherals. There is also a stand, in case you’d like to charge a tablet! All that is neatly hidden away, and all you have to deal with is one wire that powers the charging setup. The minimal setup is definitely a great feature! The Bluelounge Sanctuary4 comes in black or white, with a suggested retail price of £89.95. It is available to pre-order at Amazon this week, with products shipping in plenty of time for Christmas.